I had some people ask me about this product, and even had a friend try it. I had never done a fast before, so I decided to be a “product of the product” and give it a whirl. I thought that this would allow me to give honest feedback should anyone else ask me about the product. With my workout schedule, I had to find a time to choose to do this 2-days when I could cut down my activity. I ended up choosing Friday and Saturday. I was worried about the Friday, since I’d be at work, and not know the effects that would take hold while I was there. Friday morning, I was ready. I got up, used the restroom, and disrobed. 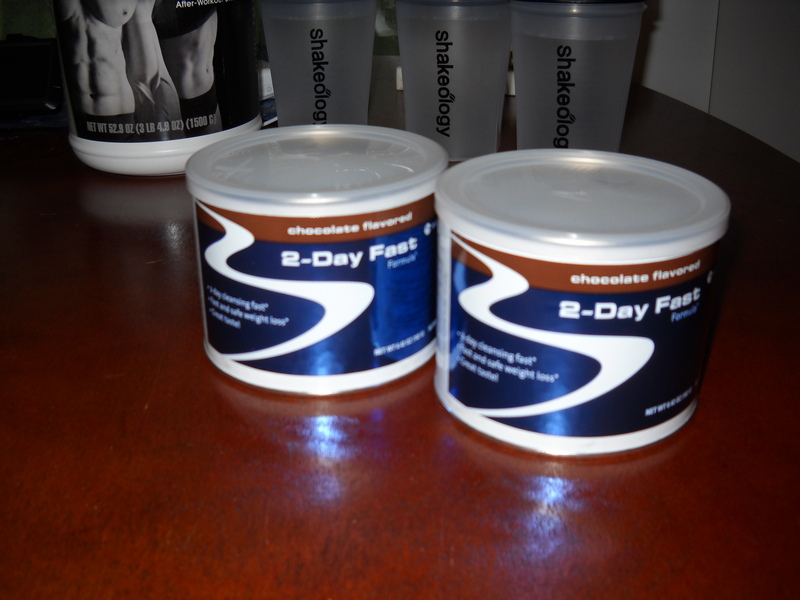 I wanted a good measurement for weight, so the process was the same each day during the fast. I did plan on going to spin class Friday morning, but decided against it, since my caloric burn is really high when I do go. Shake #1: I chose the chocolate fast, and made it with lukewarm water. The taste, was pretty good. Almost tastes like a liquid brownie. I was very surprised at this. The morning at work was fine. I didn’t really have any hunger issues, and felt like I had enough energy. I did have a glass of room temperature water. Shake #2: This was my lunch. I used one of my Shakeology shaker cups that I keep in my desk drawer. I was worried at first that it wouldn’t mix very well, and I’ll have a chalky drink to consume. This wasn’t the case, and again, was a nice brownie-like drink. After lunch, I felt good. Not really tired, as I had decent energy throughout the afternoon. I had a couple of stomach growls, but never felt uncomfortable. Left work, and felt good. Shake #3: I drank this one around 6ish. I didn’t want to wait too late in the evening to get this down, because I thought I might go to bed early to try and head off any hunger issues I might run into. I spent the night playing video games. I did take my dog out for a short run (half mile or so), and felt fine. Had enough energy to pick up the pace since my dog tried to chase down a much longer dog at the park. I went to bed without any issues around 10. Woke up and followed the morning routine. Shake #4: I drank this about 10 or so. I slept in, since I wasn’t planning any morning workouts. I did some work around the house Saturday morning. Went to the garage and looked through some things. Stayed active, but nothing too crazy. I played some more video games to keep my mind busy. I didn’t get to my shake until much later – around 3 I believe. 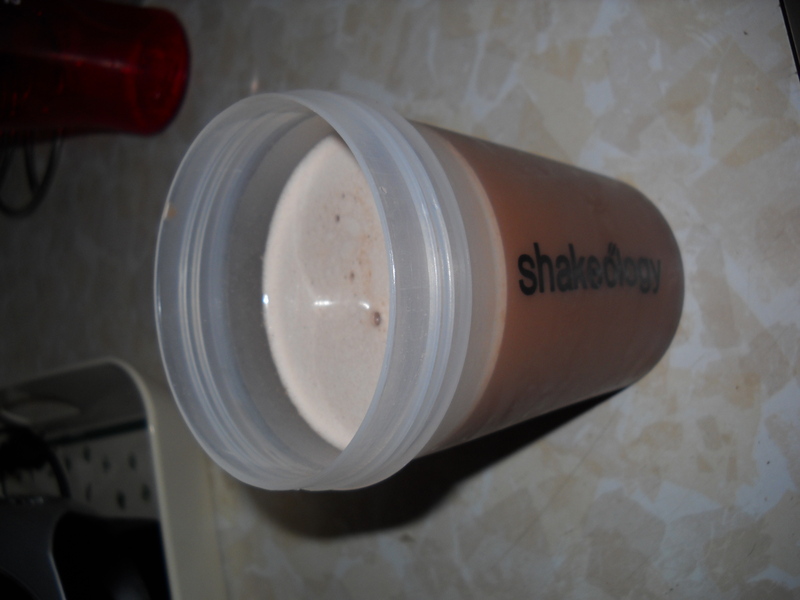 Shake #5: Still not getting sick of the taste. I’m very thankful for that. I’m pretty picky with tastes and textures, and this had the possibility of being bad for me. The taste should definitely not deter people from this product. I got out and visited with my ex-stepdaughter for a minute or two. I hadn’t really seen her since summer started. I’ve started to notice when I get up from sitting for a while, I get slightly light-headed. It does go away quickly, and does not bother my motor functions. Shake #6: This was take last night around 8. I was a little worried about the time that I drank this, only because I figured I’d be going to be soon. I slept well last night, even though I was anxious for Sunday to get here. I wanted to see the scale, and get some real food in me. The thing about fasting, it’s easy to gain back any weight lost. You return to your old habits of eating, and over consume. You need to come back slowly, eat clean, and resume your workout program. If you are interested in trying this out, please go to http://www.coachfoland.com and order. If you do, let me know how you do. This entry was posted in Beachbody, Food, Supplements and tagged 2-Day Fast, Beachbody, Coach Foland, Team Beachbody, Weight Loss. Bookmark the permalink.